Central Valley district encompassing all of the counties of Merced (31% of district voters) and San Benito (8%); eastern Monterey County (22%) including Salinas; and western portions of Stanislaus (17%), Fresno (13%), and Madera (9%) counties. Largest city: Merced. ANNA CABALLERO previously served two terms in the Assembly from 2006 until 2010. In 2010, Caballero gave up her Assembly seat to run for State Senate, but ultimately lost to Anthony Cannella (see SD12). 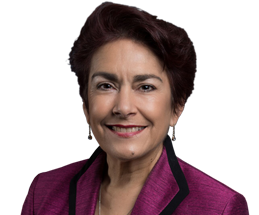 After her defeat, she sought a job with Governor Brown's administration and was appointed secretary of the California Business, Consumer Services and Housing Agency in 2011 until she stepped down in November 2015. Caballero moved to the Salinas Valley in 1979 and worked as a lawyer representing farm workers at California Rural Legal Assistance for three years before she and two of her colleagues formed the law firm of Caballero, Matcham & McCarthy. In 1986, she was appointed to the Salinas Planning Commission and served there for five years before being elected to the Salinas City Council in 1991. In 1998, she was elected Mayor of Salinas, and served in that capacity until her election to the Assembly. She holds a bachelor's in Sociology from UC-San Diego and a JD from UCLA. Her husband, Juan Uranga, is the director for Community Advocacy in Salinas. They have three grown children. This district was not altered much because the Redistricting Commission did not want to dilute the Latino population. It extends from the Salinas Valley east into the Central Valley through a number of counties in order to find the most Latino precincts, largely farm workers who work the most productive agricultural land in the country. The Salinas Valley is the setting for many of John Steinbeck’s novels including “Of Mice and Men.” The Valley is called the “Salad Bowl of the World” because of the large production of salad greens, including lettuce and spinach, along with tomatoes, strawberries and grapes. Politically this is a highly competitive district. It was drawn to elect a Democrat in 2001 and Democrats make up plurality of the voters, but it continues to send a Republican to Sacramento, first Jeff Denham followed by Canella. The Democrats have their strongest advantage in the coastal valleys in Monterey and San Benito Counties and in Stanislaus County where there is a large Latino population in southern Modesto. Merced County is home to most of the voters in the district. For a predominantly rural inland county Democrats tend to do quite well here. It has been represented by a Democrat in Congress and the Assembly for decades, but Republicans have also been victorious here. Incumbent Republican Anthony Cannella was termed out, opening up a competitive seat in a district with an 18-point Democratic registration advantage. AD30 Assemblymember Anna Caballero was the top vote-getter in the primary, winning 43.37%. Caballero raised over $1.1 million ahead of the primary, with the CA Democratic Party contributing $400,000. 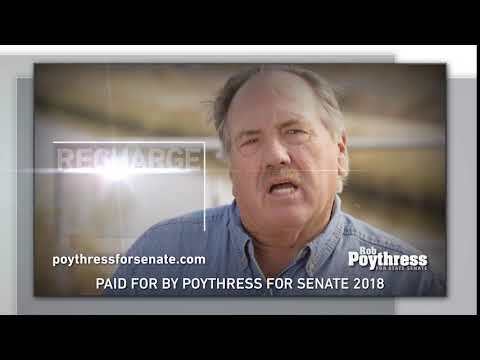 The second spot in the runoff went to Republican Rob Poythress, a Madera County Supervisor and farmer/business owner. Poythress raised $582,015 ahead of the primary and received 26.32% of the vote. 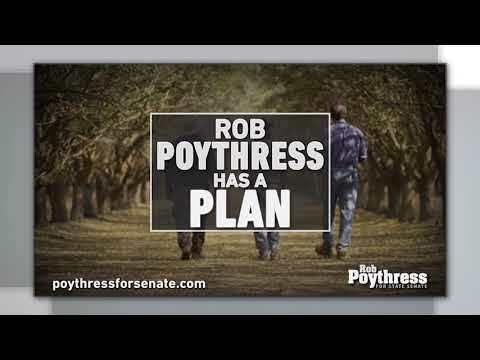 Poythress benefited from $180,475 in supportive independent expenditures, with Coalition to Restore California's Middle Class, an IE funded by the petroleum industry,, spending $144,400, and the CA Chamber of Commerce's JOBSPAC spending an additional $36,075. The number three spot went to perennial Republican candidate Johnny Tacherra, a dairy farmer who raised $85,885 and finished with 22.24%. Democrat Daniel Parra, a Fowler City Councilman, finished in 4th place with 8.07%. Democrats lost their supermajority in the legislature after Republicans picked off SD29 Democrat Josh Newman in a June 2018 recall, and all eyes were on Cannella's seat as ground zero in the battle to get it back. After the primary, this was, by far, the biggest target for both Republicans and Democrats. 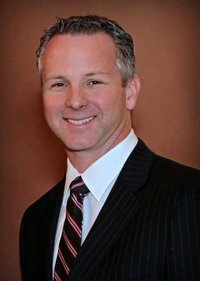 Caballero's campaign received an additional $2.66 million in support ($2.28 million from the state party and $380,000 from county committees), and Poythress's campaign received $1.9 million ($1.83 million from the state GOP and another $70,000 from county Republican committees). Poythress was endorsed by Parra and another Democrat who ran as a write-in soon after the primary. Outside spending was also a factor in the general election, with the CA GOP making close to $1 million in IEs in support of Poythress. He received additional support from the CA Chamber of Commerce's JobsPAC, which spent $177,000 opposing Caballero and $33,000 supporting Poythress. Nine other groups joined the fray to back Caballero, with an IE funded by SEIU ($252,000) on one side of the spectrum and the moderate-boosting Californians for Jobs and a Strong Economy ($127,000) on the other. On election night, Caballero was narrowly ahead by a little over 1,000 votes, but, as was the case in every other seriously contested race, the ballots counted post-election broke a decisive 59.3%/40.7% in her favor, and her final margin was over 17,000 votes, good for a 54.4%/45.6% win. DANIEL PARRA (D) was first elected to the Fowler City Council in 2008, after previously running unsuccessfully in 2006. He was easily re-elected in 2012 and again in 2016. In 2014, he unsuccessfully ran for Fresno County Supervisor, losing to Buddy Mendes in a lopsided 62.3%/37.5% November runoff. He filed to challenge CA21 Republican David Valadao in the 2016 campaign, but his poor fundraising throughout 2015 prompted local Democrats to push him aside. Parra remained in the race and ultimately finished a close 3rd in the June primary. Raised in the Central Valley in the small community of Parlier, he enlisted in the USAF in 1985. After being honorably discharged, he moved to Fowler, and has worked as a Computer Systems Analyst at Northrop Grumman's Lemoore Naval Air Station for over twenty years. He holds a bachelor's in Business Administration and a masters in Public Administration, both from National University, and holds a Senior Executives in State and Local Government Certificate from Harvard's Kennedy School of Business. He resides in Fowler with his wife, Sandra. They have two children. JOHNNY TACHERRA (R) previously ran in 2014 and 2016 vs CD16 Democratic Rep Jim Costa, falling just 1,334 votes shy of unseating Costa in 2014. In the more inhospitable 2016 climate, Tacherra was defeated 58/42. Born and raised in Fresno County, Tacherra is a third generation dairy farmer of Portuguese descent. The family dairy (Morning Star Dairy) milks over 1000 head of Holstein cattle and farms hay, oats, wheat, corn, several winter forages and pomegranates. For several years Tacherra has lobbied in Washington D.C. on behalf of the dairy industry. He and his wife, Lisa Marie, have four children. They reside in Burrel. ROB POYTHRESS (R) was elected to the Madera County Board of Supervisors in 2016, unseating first term incumbent Rick Farinelli 62.46%/37.07% in the June Primary to win outright. He previously was elected to the Madera City Council in 2004, winning re-election in 2008. In 2012, he was elected as the first elected Mayor in the City of Madera through 2016. A native Maderan, he has been in the banking industry since 1979. 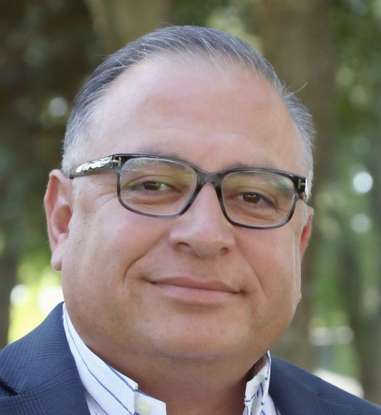 He is currently Vice President and Manager of Citzen's Business Bank in Madera, where he has worked since 2005. He is also a partner in Teco hardware and Poythress Farms. 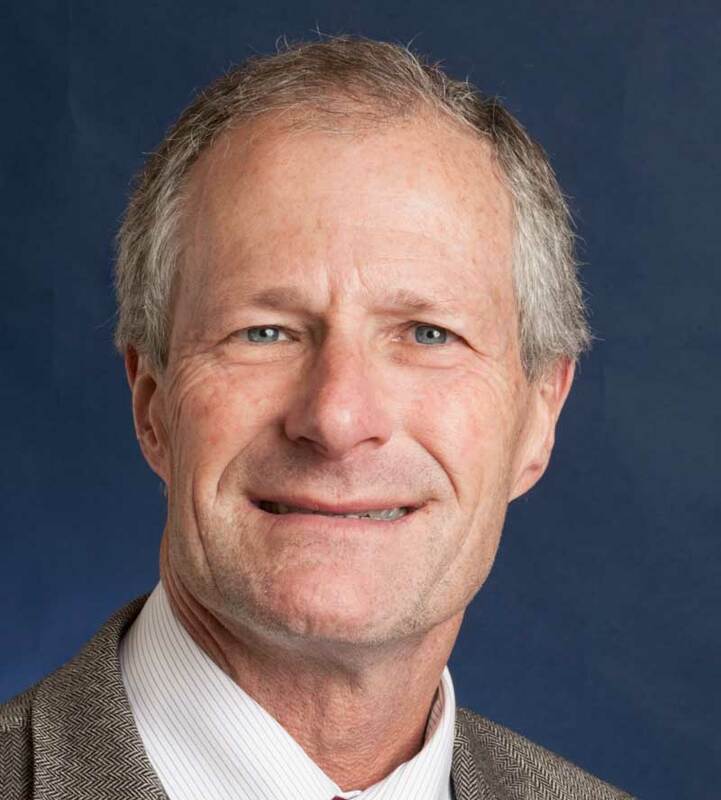 He holds a bachelor's in Agricultural Business Management from California Polytechnic State University-San Luis Obispo, and holds a graduate degree from Pacific Coast Banking School at the University of Washington. He resides in Madera with his wife, Carol. They have three children. Cannella and Shawn Bagley, a produce broker and Democratic Party activist, were the only candidates running in the June Primary. By a wide margin, Cannella outpolled Bagley 64% to 36%. Cannella found himself seeking reelection in a district that has a solid Democratic bias, though Cooley and Fiorina narrowly outpolled their Democratic opponents here in 2010. However, the Democratic leadership decided not to play in this race and Cannella was one of a very small group of Republicans who was endorsed by the CA Labor Federation. Bagley ended up making no more than a token effort. October finance reports show him spending $57,000, while Cannella spent just over $650,000, with over $840,000 cash on hand. Cannella won the race with 60.5%, outpolling Gov. Brown, who carried the district with 55% of the vote. ANTHONY CANNELLA, the son of former Democratic Asm. Sal Cannella, is a graduate of Ceres High School (1987) and has a bachelor’s in Civil Engineering from UC Davis. He and his business partners operate NorthStar Engineering Group, which provides public and private entities with a variety of engineering, design and survey services. 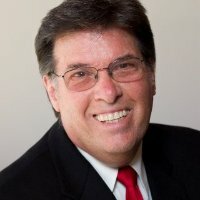 Cannella was elected to the Ceres City Council in 2003, serving until his election to the Senate in 2010. He and his wife, Julie, have three children. SHAWN K. BAGLEY is a produce broker, Monterey County Democratic Party activist and member of the Democratic National Committee. Bagley also served as a gubernatorial appointee to the Monterey County Fair Board. He and his wife, Marjetka, have two adult children and five grandchildren. They reside in the Salinas area.